Quickly draft customized estate planning documents for your New York clients, with powerful document assembly software from Lexis and the New York Bar Association. 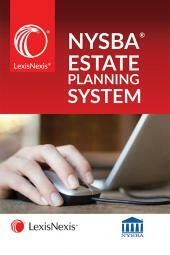 The New York State Bar Association's Estate Planning System is a fully automated document-assembly drafting system, powered by HotDocs®. The System eliminates the need for repetitive typing, cutting, and pasting, along with the risk of errors that often accompany traditional form completion. Practitioner-tested. Every form in the System was drafted and used in practice by Syracuse attorney Michael O'Connor, who brings more than four decades of New York estate planning experience to this product. • Substantial new language in Trust documents under "Provisions for Minor and Disabled Beneficiaries"
New York State Bar Association Members are entitled to Special Pricing. Call 800-223-1940 for details. To see your 15% discount at checkout, New York State Bar Association (NYSBA) Members must send their email address to [nysbamemberdiscount@lexisnexis.com]. Once your membership status is validated you will receive an email within 24 hours letting you know your discount has been activated. 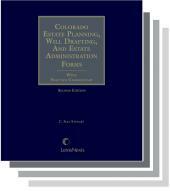 This publication is intended to provide authoritative information regarding the subjects covered. Efforts have been made to ensure that information is current and accurate, within the constraints of publication schedules. It is sold with the understanding that neither the publisher nor the authors and commentators are engaged in rendering legal services. If legal advice or other expert assistance is required, the services of a competent professional should be sought. NOTE: THIS PROGRAM IS INTENDED FOR USE BY LICENSED ATTORNEYS. IT IS NOT A SUBSTITUTE FOR INDEPENDENT THINKING. YOU SHOULD FAMILIARIZE YOURSELF WITH RELEVANT STATUTES, CASE LAW, AND STANDARDS OF PRACTICE, AND THOROUGHLY REVIEW ALL GENERATED DOCUMENTS.